Twenty years ago today Edward Abbey died and the world lost a defender of freedom, a protector of the wilderness, a desert anarchist, a cantankerous troublemaker, a controversial iconoclast and a damn fine writer. Abbey wrote essays, stories, novels, adventures, letters and more. All are worth reading. And his message of wildness and liberty is as valid today as it has always been. But just reading Abbey is not enough. We need to think, feel and act as well. Abbey wrote to provoke anger, dissension, discussion, disturbance. He wanted readers to react to his words, even if it was in disagreement, and to go out and do something, anything, to show they were human, to show they cared enough about freedom and nature to defend them. Those of us who remember him and hold his words important need to do more than read and agree. I’ll finish with two quotes from Desert Solitaire, arguably Edward Abbey’s finest book (though he wouldn’t agree). 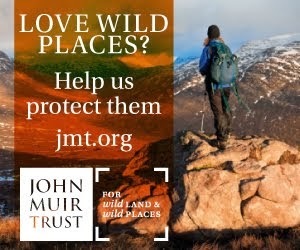 “Love of the wilderness is more than a hunger for what is always beyond reach; it is also an expression of loyalty to the earth which bore us and sustains us, the only home we shall ever know, the only paradise we ever need - if only we had eyes to see”. 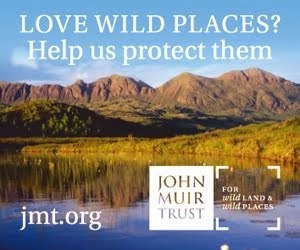 For those unfamiliar with Edward Abbey more information can be found here. You may indeed Forest Wisdom, excellent posts. I enjoyed reading them. Confusingly it didn't go through with the other two posts, which were the ones I was referring to, but appeared later! I have now read it. Thanks. First read this book while hiking the PCT - stunning. Made me so much more aware and appreciative of what I was hiking through. 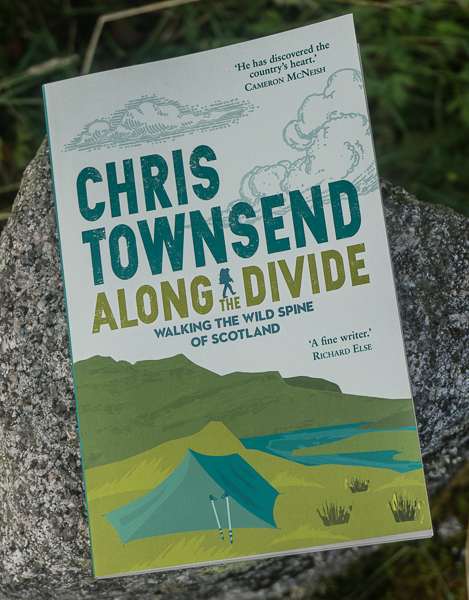 I "shared" it with a hiking pal who was a couple of days behind me by reading several chapters, then tearing that chunk out of the book and leaving it in the hiker bin for him to collect two days later! I've now got a stack of Abbey's other works to wade through, collected at Lee Vining and in San Fran after Steph and I hiked the JMT in 07. 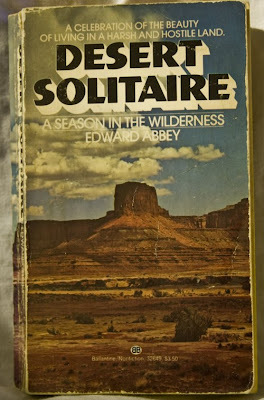 I first read Desert Solitaire during my Continental Divide Trail hike back in 1985. That's the copy I bought back then in the photo. I certainly didn't tear it up! But then, there were no other hikers to share it with anyway. I've since read all of Abbey's other books and a few about him as well.